- Always work as a team. 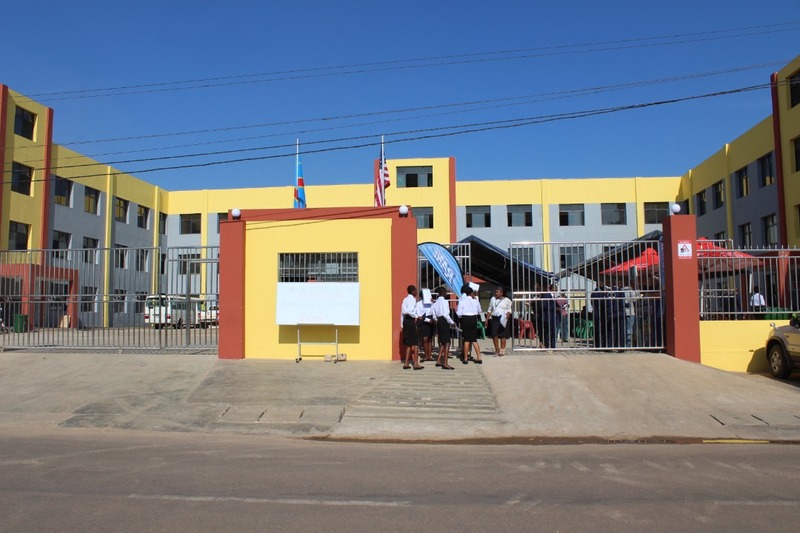 We are a School Complex located in the city of Lubumbashi, Democratic Republic of Congo. 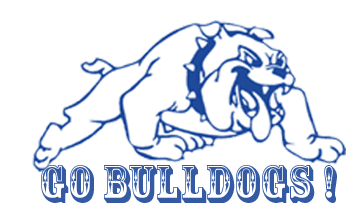 Our school operates at two locations: # 7/8 and # 11 Boundy Avenue. Both sites are located 350m from each other. It is in the Kalubwe 1 district of Lubumbashi Commune, Lubumbashi City. Since the 2017-2018 school year, we have welcomed students from three sections: Kindergarten, Primary and Secondary at No. 11 Boundy Avenue. This site has 40 classrooms with a capacity of 36 students per class. We have a total capacity of 1440 students, with 9 offices, 63 blocks of toilets, 1 computer room equipped with 40 computers for practice, 1 Laboratory of Physics and Chemistry, 1 canteen, 1 mixed basketball court. -ball and volleyball. From now on this site is reserved for the secondary section. Students work in the following options: general secondary, Latin-philo, scientific (with the streams: Mathematics-Physics and Biology-Chemistry), General Pedagogy, Hospitality and Catering, Construction, Commercial and Management, Electronics and General Mechanics. There are still plenty of opportunities to receive other options such as Sewing, Agriculture, Fishing and Breeding and more. To meet the growing demand of the school population of the Province and elsewhere, the CSB has grown. Thus, since September 10, 2018, CS BELLEVUE has also settled in the second site, located at No. 7/8 of the same Boundy Avenue. The new building houses since this school year the students of the Kindergarten section and those of the primary section. But this building has a total of 75 classrooms and 25 offices and meeting rooms. This infrastructure contains 14 toilet blocks with a total of 108 doors. The total capacity is 2,700 students who can study in very good conditions. 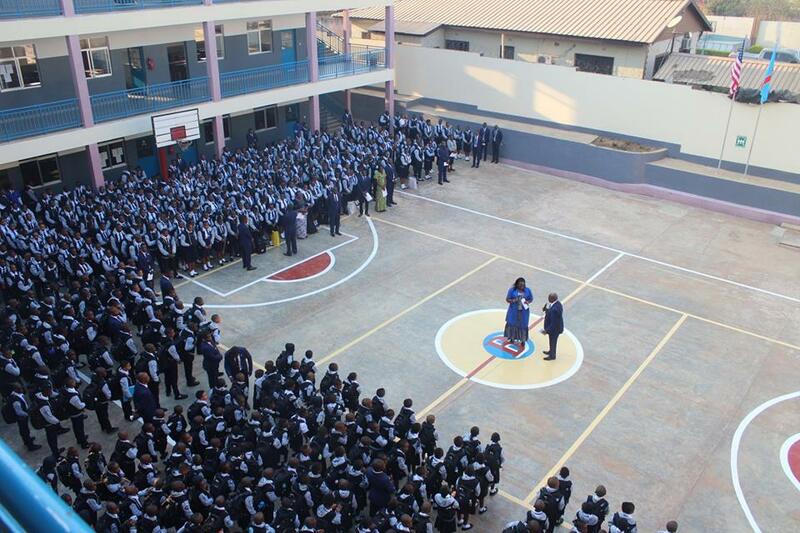 So, to date, our school has a total capacity of 4140 students. 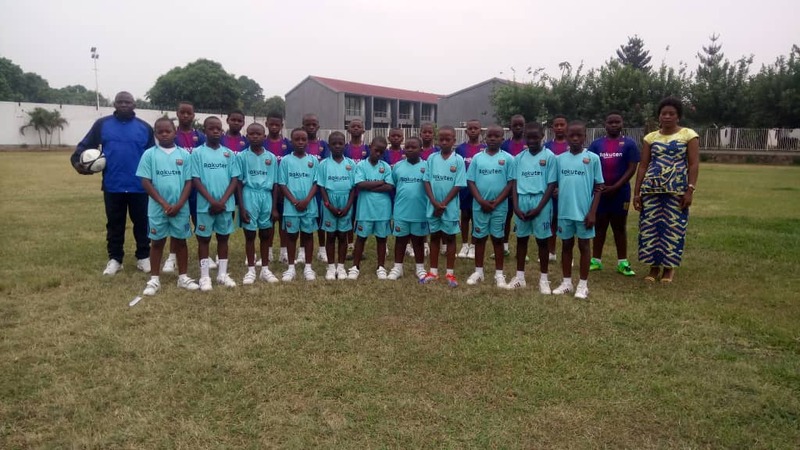 This infrastructure will be progressively occupied and will be at the end the nerve center of the BELLEVUE School Complex educational system. The large library is installed and functioning normally. Two fully equipped computer rooms host 30 students each, for the kindergarten section and for the Primary section. The children of Kindergarten have for them a large playroom. Workshops for the practice of high school students are already operational. These are the following workshops: Welding, General Mechanics, Electronics, Hospitality and Food and Construction. Parents to get in touch with the school without having them constantly to move and again for the school to get in touch with the parents. It is in this context that a RAWBANK window is housed. in our facilities for the payment of school fees. Parents and caregivers, or even those who are themselves responsible for enrolling; a school year from where they are. Teachers deliver online assignments and assignments to graduates, and the latter return referrals for correction. For the elderly as well as for children their parents to receive the school results of the periods and exams on our website. 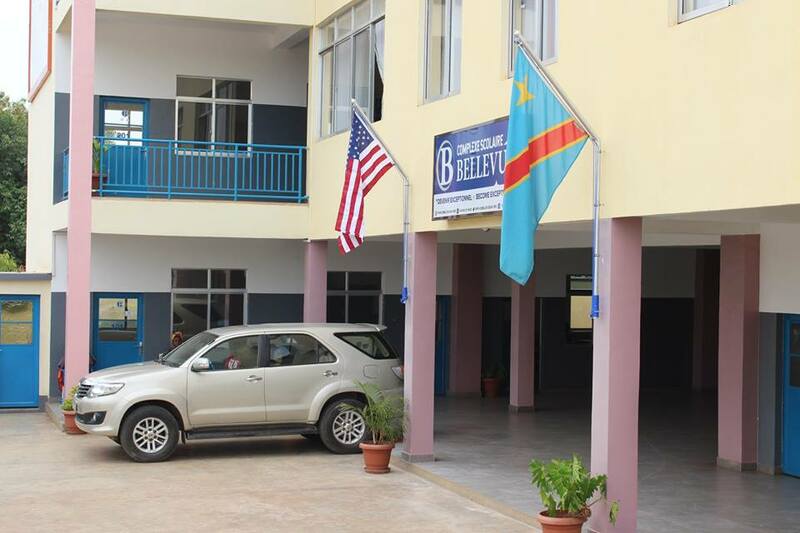 We, Bellevue School Complex of Lubumbashi and The Bellevue College of Washington have signed a Partnership to promote international and cultural exchange for the benefit of two parties. 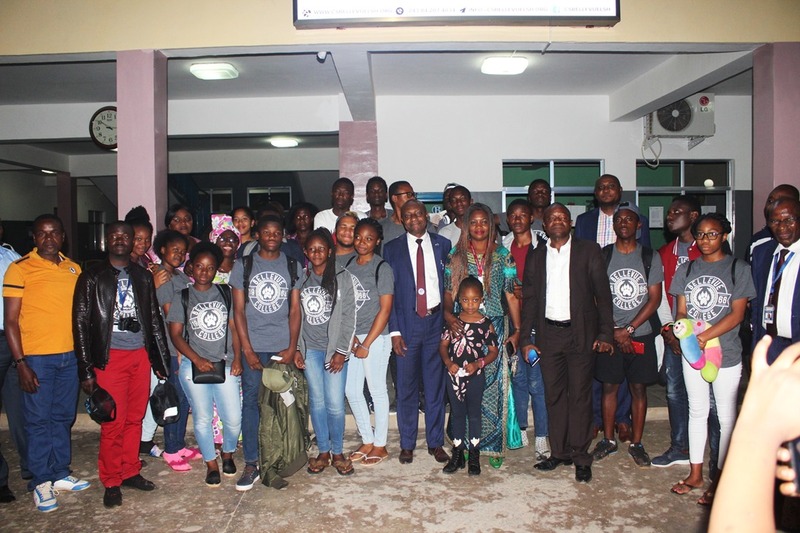 Since this year 2018, the CS BELLEVUE of Lubumbashi, after having sent 20 students of Secondary 5 and a Teacher on a study trip to Washington, will continue in the future this action and the best finalists will obtain Scholarships to study in universities in the United States. 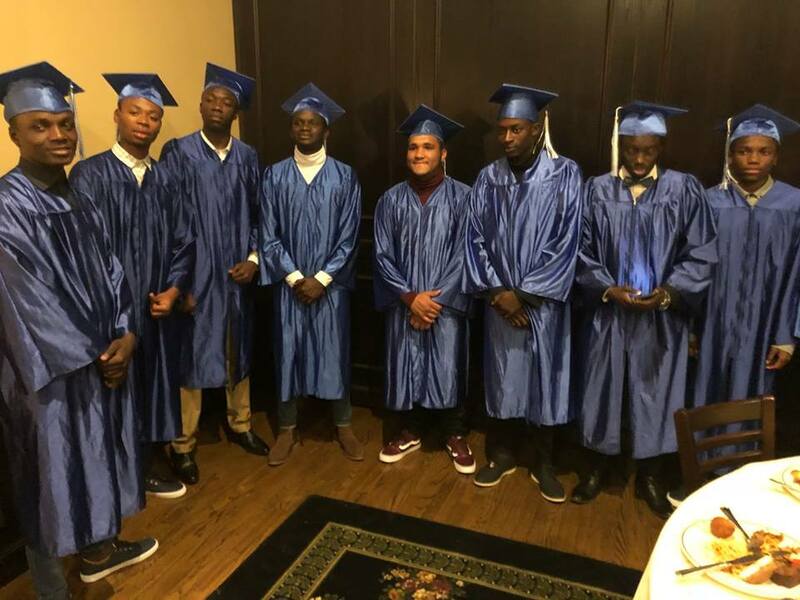 Successful students at the end of Secondary 5 will have the opportunity to complete high school in the United States and enter the university directly with an American degree. Future activities of this partnership will include exchange and many faculty trainings.